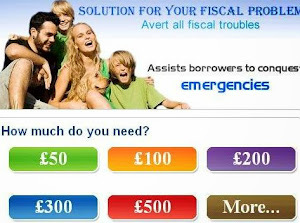 Home » payday loans » How Does A Payday Loan Factor Into Your Monthly Budget? 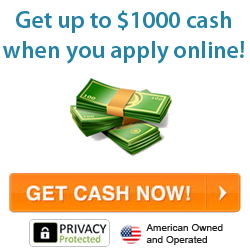 Payday loans, cash advances, auto and car title loans and "installment" loans are all means of getting quick cash. Consumers who find themselves in a financial quandary may turn to one of these loans to help them pay for an unexpected cost or money emergency. Some may take out one of these short-term fast cash loans to see them through from paycheck-to-paycheck. And still, some will borrow for frivolous reasons like buying a new purse or big screen TV. Whatever the reason for borrowing, payday loan lenders online and in-store have made it easier than ever to obtain a loan that doesn't require a credit check, takes only minutes to apply for, and puts your money directly into your bank account within one business day. It's no wonder the rate of borrowing on payday loans has skyrocketed in the past two decades. The burning question though is "As easy as it is to get the cash, how easy is it to pay it back?" Typically, payday loan lenders require that you pay them back with your paycheck subsequent to taking out a loan. Virtually anyone can obtain a payday loan given they have a job, a checking account with direct deposit and meet the minimum monthly income requirements. That coupled with the fact that the applicants credit history is not a factor in being approved, these loans are considered high-risk. Thus is the justification on the lender's part for charging high interest rates and fees. So fast forward... you've applied, been approved and funded and have since spent your lot. Now it's time to payback. Will you be able to give back to the lender what they gave you on top of what they are charging you for borrowing the money? Perhaps this wasn't something you thought about when you clicked on the "apply now" button from your computer. Your loan payment has now become part of your finances and need its own place in your budget. If repaying your loan in full with your next paycheck isn't an option consider the following in an effort to work your loan payments into your monthly expenses with the goal of paying it off as soon as possible. Speak with your payday loan lender about your repayment options- You can "roll over" which means extending your payment past the original due date. Most lenders will do this for you but keep in mind, there will be hefty fees attached to your principal balance. Ask about a payment plan. The amount and number of payments will be determined by the lender. Some lenders may stop charging interest if you continue to make your payments on time. Be sure to pick the payment option that works best for your budget. Don't tell the lender you can pay off your loan in full with next month's paycheck if that's not realistic for you. If the lender offers a payment plan you know you can't handle, ask for a lowered amount to ensure the money will be in the bank when they go to automatically withdraw it form your account. If given the opportunity to repay the loan back in one lump sum, do it quickly! A tax refund, employee bonus or a monetary birthday gift are all ways to get your loan debt paid back and off your back! If you must make payments, make them on time and for the amount agreed upon by you and the lender. Defaulting on your loan will only wreak havoc on your finances and could send you down the creditor path to collections, or worse, a lawsuit. Just because the lender doesn't run your credit to approve your loan doesn't mean a third party collector won't report your default to the credit bureaus.